Here's one of the new online games from masters of development, NetEnt. In Japan, Koi fish symbolize love and friendship. 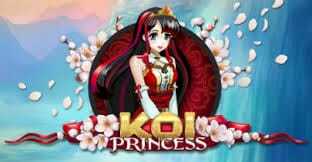 Koi Princess new online slots takes you on a zen journey to a peaceful pagoda in Japan. There you’ll meet the Koi Princess, whose tranquil lifestyle has clearly led to great wealth, some of which it seems she wants to share with you. 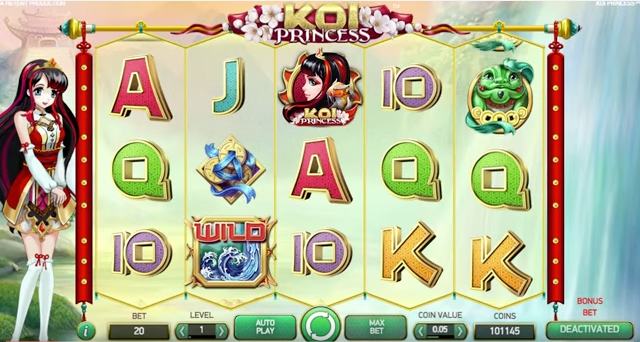 With a sublime Manga artistic style, a peaceful atmosphere, and plenty of bonuses and winning chances, this game is a zen delight, for aspiring world travelers and claim bonus and play slots fanatics alike. You can recognise a NetEnt game from its cinematic style, its self-aware sense of humour, and its powerful playability. Their game concepts are ingenious, and always impressively realised to appeal to all types of slot player. If you love promo's, get the best new slot promotions now. RANDOM FEATURES – there are four varieties of Random Feature in the game, each of which triggers one Free Spin with a different bonus reward. 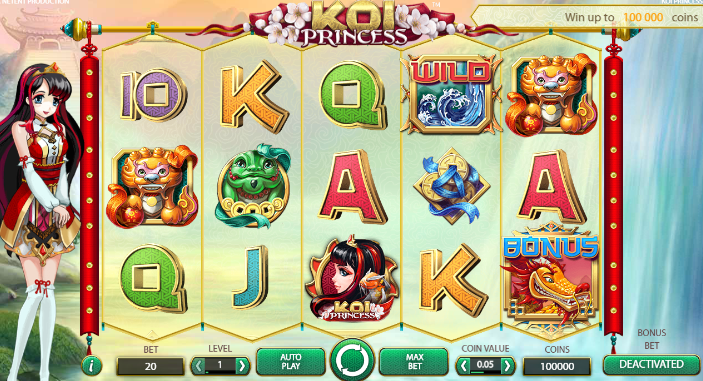 The 5 Hit Random Feature gives the player’s Free Spin gives a guaranteed 5 symbol win with a random symbol and bet line. The Random Wild Feature gives a Free Spin with overlay WILDS. The Wild Reels Feature gives a Free Spin in which 2-5 random reels are totally occupied by overlay WILDS, and the Bonus Activation Feature gives a Free Spin with 3 Bonus symbols, one of which is randombly awarded to the player. BONUS – this is activated when 3 Bonus symbols appear on reels 1, 3 and 5. Again, there are four different features available. These are 10 Sure Win Free Spins (guaranteeing you some wins), 10 Wild Reels Free Spins with random overlay WILDS, the Bonus Wheel, in which the player clicks on dice to move around a wheel and win rewards, and finally, an Instant Coin Win. BONUS BET – activating this doubles the cost of each spin, but also increases the chance of Random and Bonus features, and increases a great many of the prize values in these features.